Rev. Pinkney speaking at a rally for water rights in Detroit, Michigan. These were the ominous conditions that set the tone for the sham hearing. Pinkney was denied a new trial; the juror who allegedly lied about her acquaintances with officials who had a stake in convicting Pinkney was let off. Pinkney was ordered to pay restitution for “psychological injuries” to James Hightower, the mayor who the community had sought to oust. This travesty of justice has many features: the conviction with no evidence, the absence of a jury of one’s peers, and felony rather than misdemeanor charges. This is occurring under fascism, the unity of the courts, police, and public officials with the Whirlpool Corporation, the giant that rules the area. Rev. 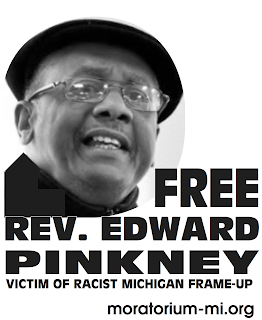 Pinkney has been thrown into the bowels of America’s oppressive prison system because he is a spokesperson for the downtrodden. As a revolutionary, he understands that today’s changes in the economy make a new society possible—where poverty, oppression and racism will end, and where the billionaire ruling class is a thing of the past, but the new society has to be fought for. For this reason, Rev. Pinkney focuses on educating and bringing into the leadership of this struggle the most impoverished workers, those who have no stake in the system and nowhere to go but forward. At the root of the attack against Rev. Pinkney is capitalism; an economic system based on the private property of a handful of billionaires who control the government. Under capitalism it is okay for people to die from a lack of water, food or medical care, while billionaires profit from private ownership of these resources. What is new today is that capitalism is a dying system. We see it in Michigan, and in other former industrial states in the “Rust Belt.” There, millions have permanently lost their jobs, primarily due to production with computers and robots. Without workers who can buy the commodities the billionaire class owns, the system comes to an end. The ruling class strategy is to keep us fighting one another. We have to counter this. For the first time, a section of workers are becoming equally impoverished, regardless of color. If educated, they can be united into a powerful force. The fight to free Pinkney must be taken to these workers, and their struggles for survival must be brought to the struggle to free Pinkney. Let’s emulate the courage and sacrifice of Rev. Pinkney. Let’s fight for a new society. 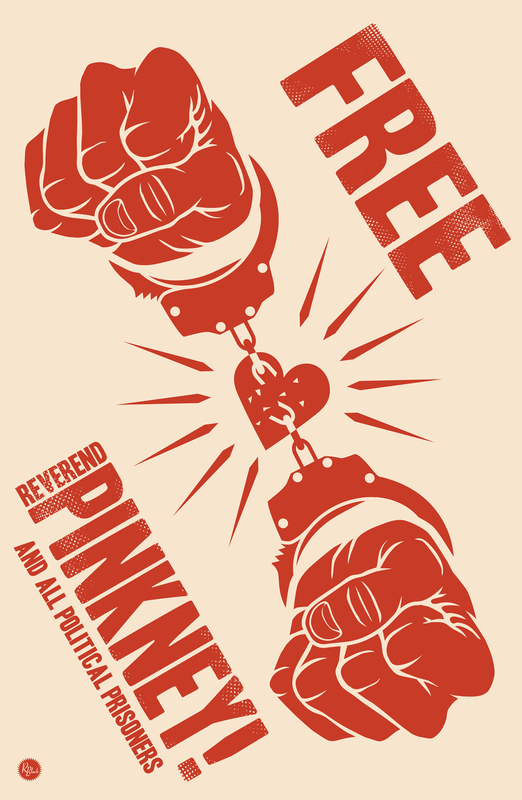 Free Pinkney!